Next Monday is the day! The Modern Applique Workbook blog tour will start Feb. 10 and run for two weeks. 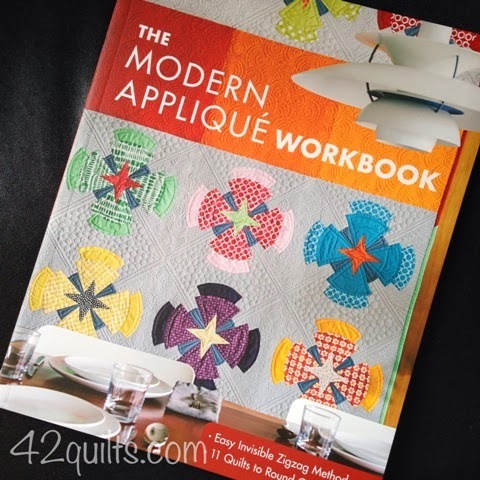 I have some great quilters lined up to tell you their thoughts on modern applique and the book! I hope you join up for book giveaways and all the fun! If you don't want to wait to see if you win a copy of the book, you can order an autographed copy at my store here. Or on Amazon here. Wow! Looks like a great line-up for the blog tour. Can't wait. And the book is fabulous! Congratulations again Jenifer. Can't wait to visit each of these blogs. I really enjoy the new modern movement in quilting. Can't wait to see the book. Glad to hear you'll visit the blogs Rose Mary! Good luck in the giveaways!